Haroset is a must item on the Seder plate the first two nights of Passover. It is to remember the mortar, or mud used to make bricks by the slaves in Egypt. It is a symbolic food. 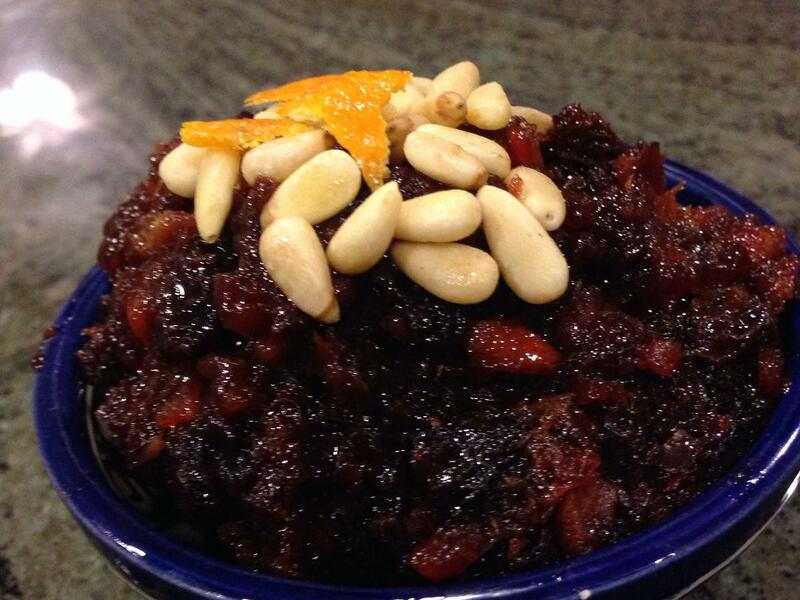 All my life I have made haroset only from dates, wine, walnuts and cinnamon – Syrian style. I always knew Ashkenazic Jews made theirs similarly replacing the dates with apples. 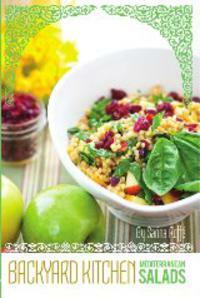 Since starting Sarina’s Sephardic Cuisine, we have been testing recipes from many Sephardic cultures. As cooks, we localize our recipes to the surrounding culture and available ingredients. Soooo – we tried many recipes for haroset – Persian, Egyptian, Greek, Turkish, Yemenite, Moroccan – and they are sooo delicious. Really you can use any fruit or combination. We also tried different spices – coriander and ginger gave bite to the palate of some haroset recipes. All of them have been loaded into the Sarina’s Sephardic Cuisine app (it’s a free download; $4.99 to unlock all the recipes). As a teaser, I am sharing my Greek Haroset recipe. I love the orange in it. When you make Haroset, it’s great to use your family tradition, but also neat to try something new. I also invite you to check out a few of our Passover recipes, now loaded onto www.sarinassephardiccuisine.com. Need some additional kitchen pots, pans and gadgets? Click on the store link to make an Amazon purchase. In food processor, chop orange coarsely. Add raisins and dates and process until finely chopped. Transfer to medium size saucepan and stir in preserves, wine, ginger and cayenne. Bring to a simmer. Cover and cook over lowest heat for 8 to 10 minutes until thick, stirring often to prevent any sticking. Cool and refrigerate. To serve: Top with pine nuts.